The "Santorini" was intercepted by Libyan forces on March 11, 2018, in Libyan waters off Susah, for allegedly sailing into Libyan waters, namely waters off Derna, without authorization. The Libyan forces had to fire warning shots to compel the ship to stop and allow military team to board the ship. The ship was taken to an anchorage off Ras Al Hilal, east of Susah. 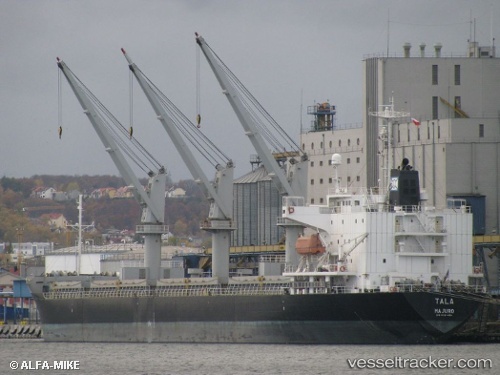 The "Santorini" had left Alexandria on March 9, the port of destination was unknown. The 21 crew members included Turkish and Syrian nationalities.